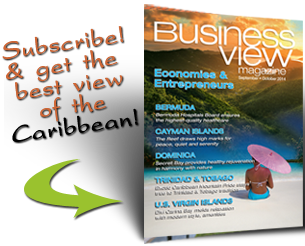 The Caribbean could transform its energy sector and diversify economic activity by exploring marine renewable energy development, says Monica La Bennett, Vice President of Operations at the Caribbean Development Bank (CDB). She was speaking to over 80 stakeholders and leaders at the Blue Economy Caribbean event held in Miami on November 6 and sponsored by CDB, in partnership with the government of Canada. “The region has not succeeded in leveraging its coastal resources. These remain largely under-explored, due in part, to the high capital investment costs. To fully exploit marine renewable energy sources, Caribbean Small Island Developing States will require considerable external assistance as well as the implementation of appropriate policy and regulatory frameworks,” La Bennett said. She noted that CDB has been supporting developments in the Caribbean’s energy sector through programs such as the Canadian Support to the Energy Sector in the Caribbean Fund (CSES-C), but says that more needs to be done. She says, while most of the bank’s renewable energy initiatives so far have been land-based, the intention is to expand these efforts to include investments in ocean-based renewable energy projects. 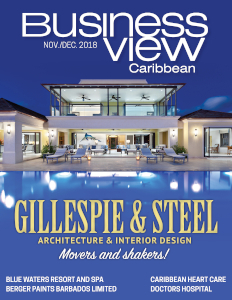 According to CDB’s study on the blue economy, published in May, approximately 70 percent of the Caribbean’s population lives on the coast, and the blue economy – economic activities that take place in the ocean and seas – could effectively drive economic growth and sustainable development. The Caribbean has one of the world’s largest untapped sources of renewable energy, with potential in solar, wind, geothermal, and marine energy. However, many Caribbean countries remain dependent on imported petroleum products. Discussions during the event pointed to one possible solution: utilizing the oceans and seas that surround much of the region for marine renewable energy development, through the creation of a blue economy strategy. “We are hoping that through events such as this, that the rest of the world will come to understand that the oceans and the aquatic resources, lakes and rivers, are fundamental to the health of the planet – not just to the people who happen to live in those oceans – [but also] fundamental to our economic opportunities. And as we [are] discovering through some of the emerging technologies, open the possibility of new ways to combat some of the diseases that affect mankind,” said William Crosbie, Canadian coordinator. The event brought together regional and international experts and policymakers, with the aim of building public and private sector consensus around blue economy investment opportunities; connecting stakeholders to sources of capital; and beginning the process of building a regional marketplace for blue economy projects and financing. It took place before the start of the Caribbean Renewable Energy Forum, which ran from November 7 to 9, in Miami.